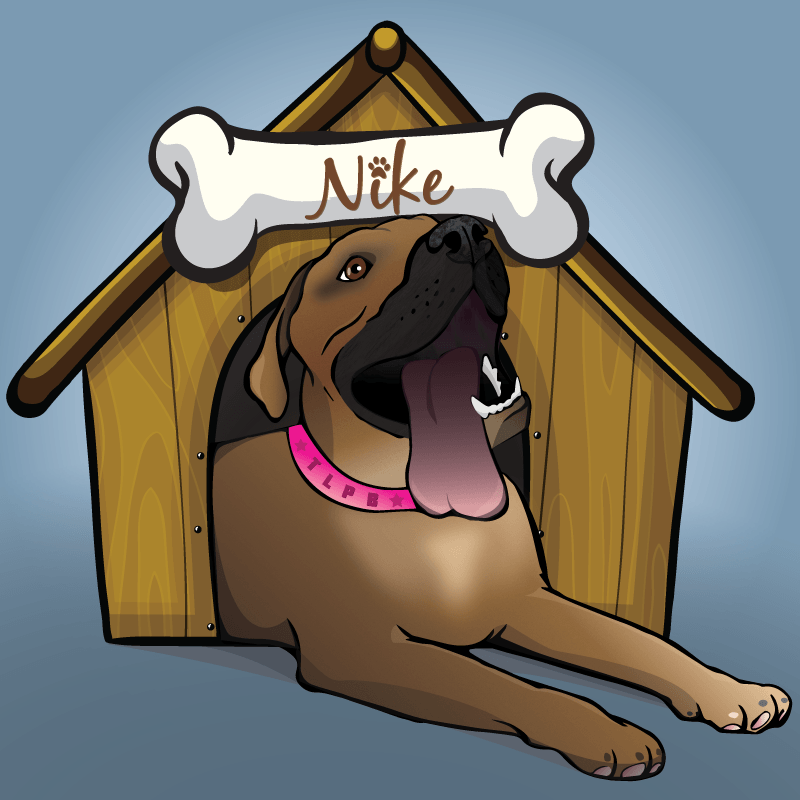 Custom illustration for <a href=”http://thelazypitbull.com”>The Lazy Pit Bull</a> of their dog, Nike. Note: I drew the dog, and incorporated the illustration into the provided artwork of the dog house. I did not illustrate the dog house. Illustration for The Lazy Pit Bull website. Note that I did not illustrate the dog house, only the dog.